As a UCL Connected Curriculum fellow, Luke works within the UCL Bartlett School of Architecture to build upon the university’s approach to education which aims to ensure that all UCL students learn through participating in research and enquiry at all levels of their programme of study. This extends to the dissemination of student research to wider audiences across London and beyond the curriculum as well as encouraging the exposure and celebration of students' research to new audiences. Luke is also instrumental in storing and distributing student research for future students to learn from. He explains here three initiatives designed to facilitate these objectives. 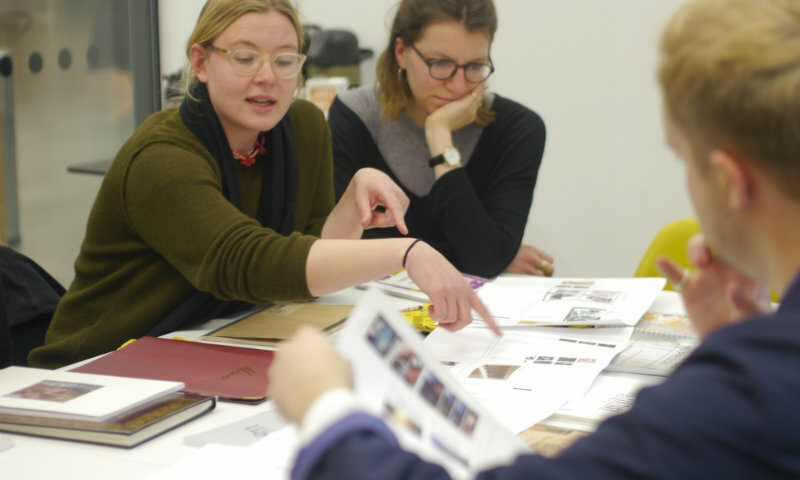 Students in their second and third year of BSc Architecture can elect to join his design unit focusing on ‘Architecture, Fabrication and Film’. In this module students are supported through workshops, open classes and tutorials to produce short films as part of their major building design portfolio. The films are developed both for assessment by programme staff, but also for a public screening at major public cinemas such as the Curzon Soho last year or the Institute of Light this year. This opportunity gives students the chance to create original visual design work for the public domain something they most likely will do in their future careers. In particular, Luke’s initiatives support dimension five of the Connected Curriculum which highlights students’ ability to produce outputs and assessment aimed at an audience as an integral part of a research-based education. Doing so allows students to adapt their academic skills to recreate knowledge for a public audience as well as out into the architecture profession. In addition, it gives them the experience of creating another format in which to communicate their work as the unit gives them the added challenge of trying to engage a different type of audience with specialist information. Another initiative Luke contributed to along with Dr Brent Carnell and other members of the Connected Curriculum team was Posters in Parliament 2017. The day event saw undergraduates from across the UK presenting posters about their research to parliamentarians’ and other dignitaries in the House of Parliament. This provided a unique opportunity for direct engagement with research-based learning and a celebration of undergraduate research based learning. Students commented on how they gained from not only discussing their research in the seat of power, but also by seeing the breadth and quality of each other’s research. Currently the department keeps any dissertations (or final year projects) physically in-house, with all documents having a five-year shelf life hidden in an archive. For the past 10+ years the very best examples have been kept behind the desk of the UCL Bartlett Library and are not able to be loaned. This makes it difficult for students to access each other’s and alumni work. Recently, a digital database has been created by being uploaded internally to the department’s Moodle or sent out to students on request via the module coordinator. There is now a project to work with library staff to put all students’ work online once it has been received so that other students can easily access these files. Other departments and the team of Connected Curriculum fellows are being consulted to see if resources, research and information can be shared collectively. The digitising project will include a strong key word search, clear title and (as Architecture is a particularly visual discipline) a thumbnail displaying the front cover or other suitable image. These will enable the resources to be used effectively by students of all levels. This database will enable the department to begin having a long-standing research resource and an online record of students’ work. This approach is also a way for all students to access a growing database of knowledge, aligning with the Connected Curriculum's sixth dimension, where students learn from each other, across phases and with alumni. Currently second and third year dissertations will be digitised but this will eventually roll out across the department and perhaps other parts of UCL so that all students’ research becomes more accessible by future students. “ Doing so allows students to adapt their academic skills to recreate knowledge for a public audience as well as out into the architecture profession. In addition, it gives them the experience of creating another format in which to communicate their work as the unit gives them the added challenge of trying to engage a different type of audience with specialist information.